Stop by the office tomorrow night if you are in town! We'll be passing out candy to trick or treaters! 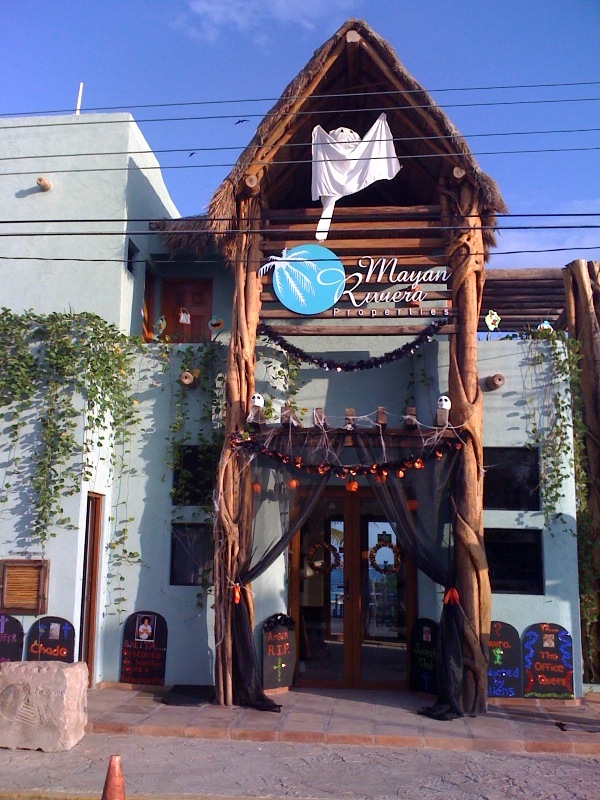 We've decked out the office for Puerto Morelos' Decoration Contest. So, I thought I'd post some photos. 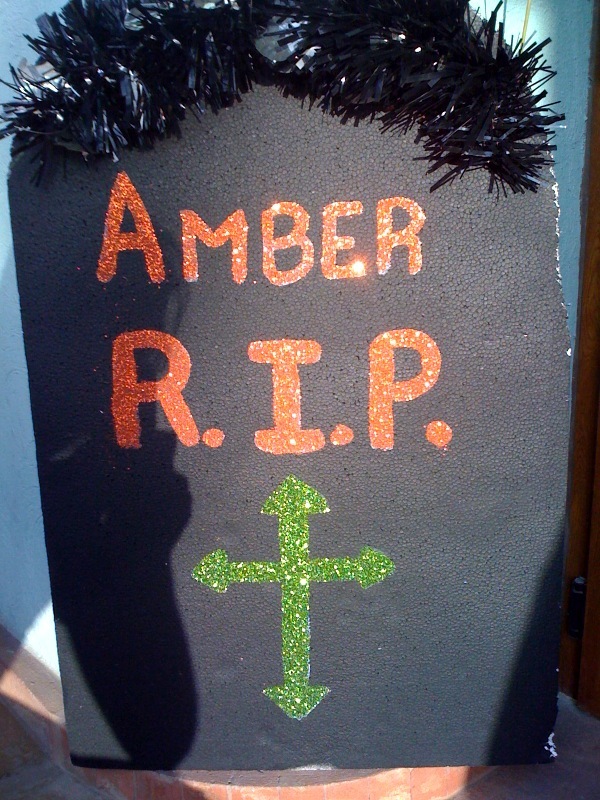 Each member of the office staff made a tombstone that we've put up outside. Some of them are quite funny! 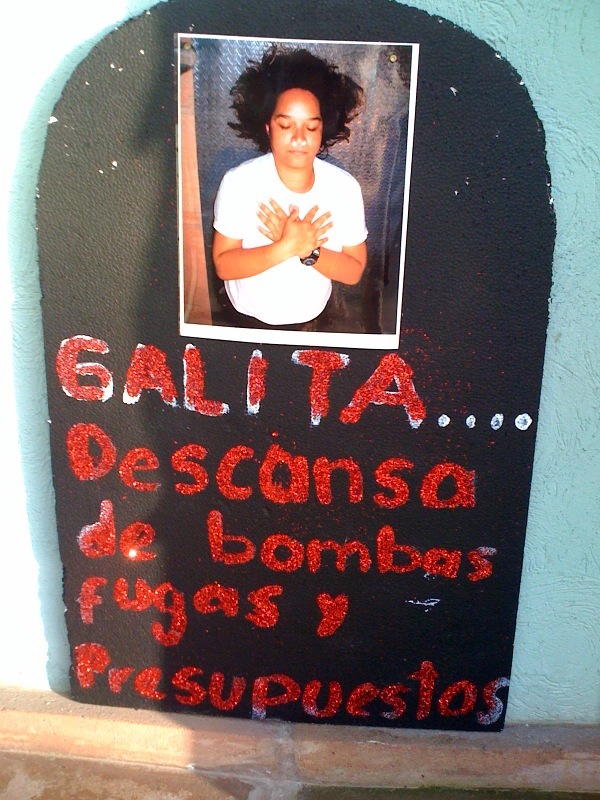 My favorite is the tombstone of Guadalupe, our staff housekeeper. 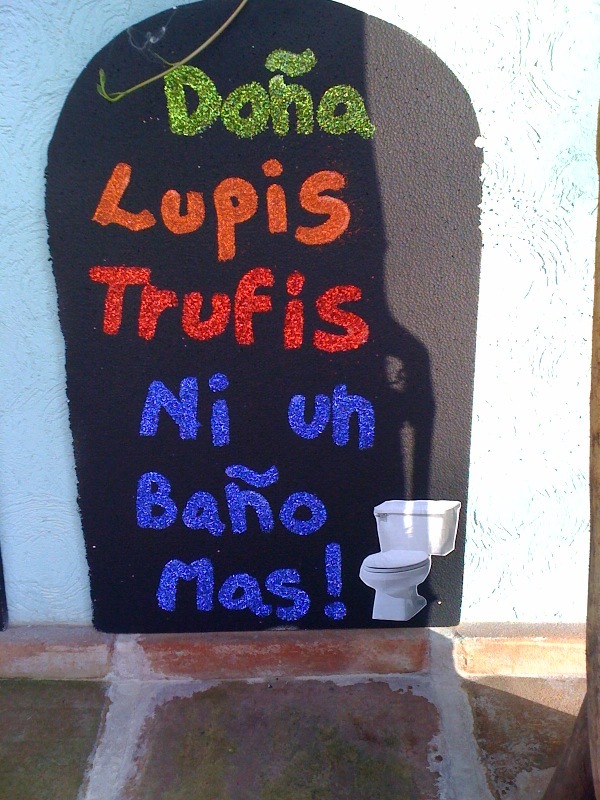 Her tombstone reads "Ni un baño mas" (Not one more toilet). 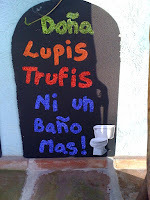 Apparently, she's tired of cleaning bathrooms! 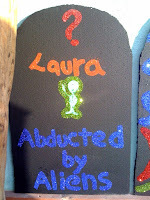 Laura said she wasn't dying. 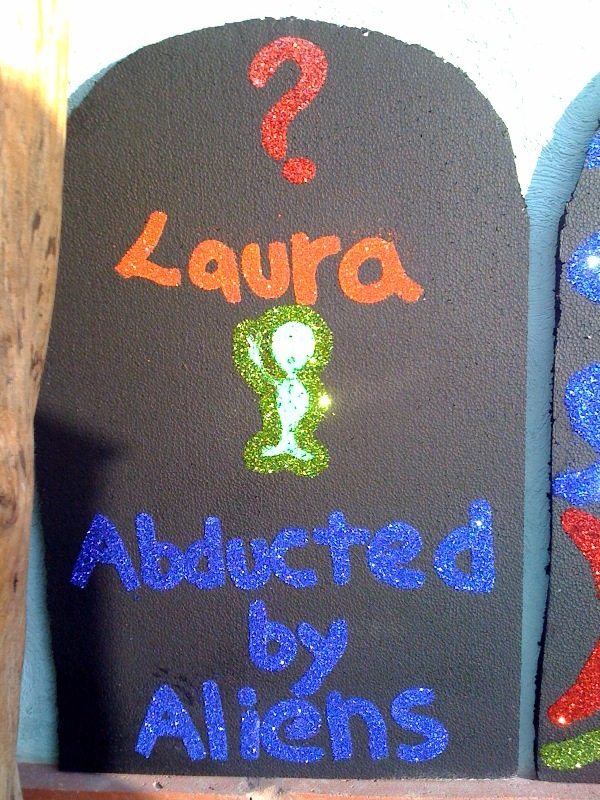 So instead, she was abducted by aliens! 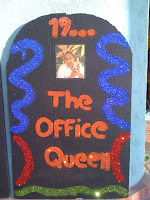 Pilar, our office manager (and office queen), whose birth date will remain unmentioned even in death. 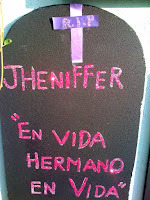 This is Josh's Tombstone. Someone came to the office one day looking for "Juanito Chul". That is the best, worst translation of Joshua Schulz that we've heard -- and it's stuck. 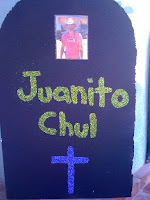 It's become Josh's new Mayan Name. 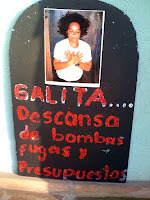 Lupita, the aforementioned 'tired of toilets' housekeeper. Gala, our property maintenance specialist, who is "resting from the pumps, leaks, and repair quotes". 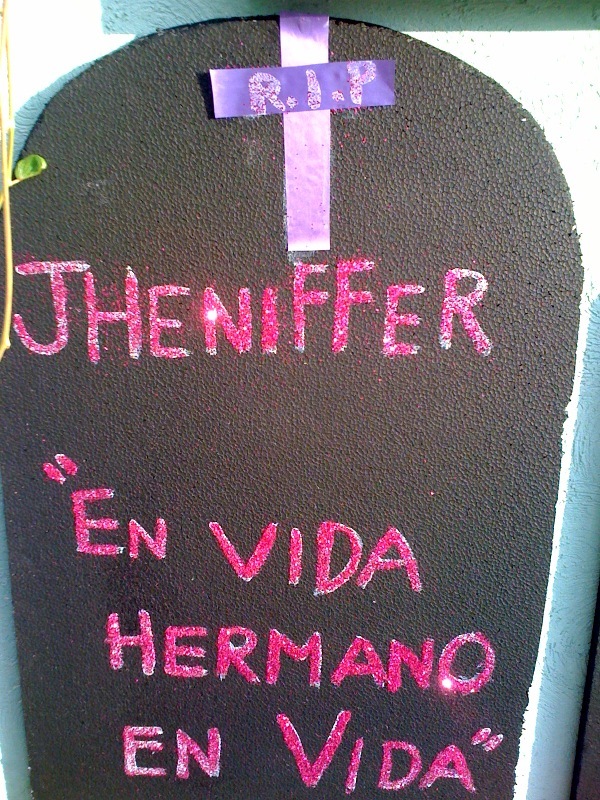 Jheniffer, who oversees Caribbean Reef Villas.